As in New York and other major cities, the Hong Kong real estate market is characterized by its limited spaces, the kind that spawned the notion of micro-living. Many residents – even those with the means – live in small apartments, which industry pundits predict can grow even smaller in the next years as the population continues to grow. Space becomes the ultimate luxury for buyers from this key global financial hub, where properties as small as 128 sq. ft. already exist. As architect Branko Pahor explains in this short video, buyers from Hong Kong value space the most when exploring their options for a second home in a new real estate market. It comes as no surprise, then, that many of them are drawn towards Big Island, Hawaii. 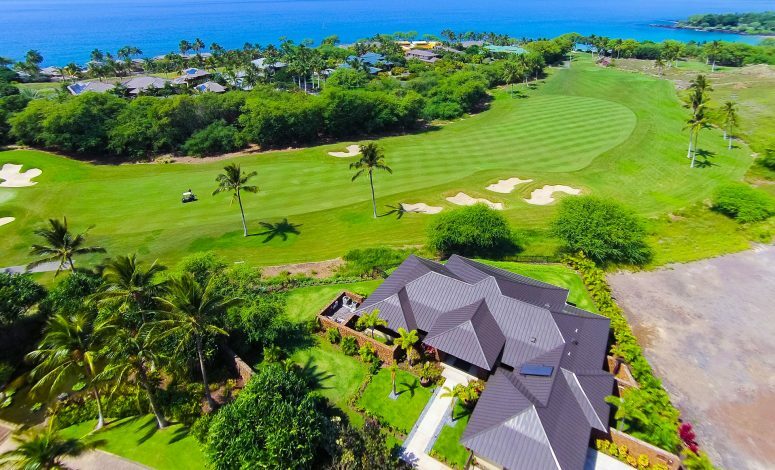 On the Big Island, real estate buyers from the Chinese territory can access exceptional properties of sizes and corresponding price tags that would never have been possible to find back home. Many oceanfront homes sit on at least one acre lots. Even villas and condominiums are expansive and laid out the Hawaiian way: with an airy vibe and a lot of common areas, on top of breathtaking views. In these properties, Hong Kong-based buyers can envision many lazy days with their family and friends in the embrace of nature – a stark contrast to the busy lives they lead in the metropolis. Mornings can be spent lounging about by the pool or the lanai, and evenings, in the living room, with a glass of wine in hand, and a sumptuous luau spread on the table. Different areas of the house can be converted to be a space where everyone can do something they enjoy – a game room, an arts and crafts corner, a media room, a library, a home office, a reading nook, and even a walk-in closet. Meanwhile, the children can comfortably run around, while enjoying the fresh air. All in all, these properties promote a life of leisurely pursuits and slow days, making them the perfect escape for holidays, and a great idea for a retirement destination. Accessing the very best of these properties, however, requires the assistance of trusted real estate brokers like Harold Clarke of Luxury Big Island. Harold Clarke knows the Big Island luxury real estate market like the back of his hand and has helped many discerning buyers from all over the world find the Hawaiian property of their dreams.